Situated in the Central Coast region of NSW, law firm Fourtree Lawyers deliver our local clients the highest quality of personalised service and expert legal representation with a focus on Criminal, Traffic and Family Law matters. 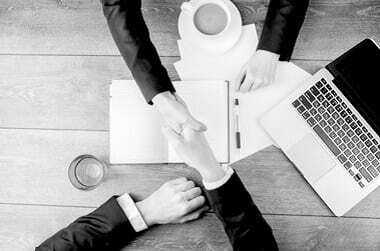 Our lawyers provide sound advice, effective strategies and strong legal representation to ensure your legal issues are resolved promptly, in a professional and cost-effective manner. We take the time to review and understand your position and provide an assessment of the likely outcome in plain English. Fourtree Lawyers represent clients interests in Courts from Sydney to Newcastle including - Gosford Local Court, Gosford District Court, Wyong Local Court, Belmont Local Court, Toronto Local Court, Hornsby Local Court and all Courts in Sydney and Newcastle. As a Central Coast law firm, we have considerable experience presenting matters in the local Courts before local Magistrates. This enables us to deliver effective representation and the best possible outcomes for our clients. We work closely with a hand-picked team of specialist senior and junior counsel from Sydney, who are available to provide their expertise to more complex high-stakes cases. Our legal team live and work within the local community and are available to provide a rapid response to urgent legal matters as they arise. Fourtree Lawyers have an in-depth knowledge of our local area and an understanding of the issues and challenges facing our Central Coast clients. We provide fixed fee options for many court matters and will provide a detailed cost assessment in more complicated cases. 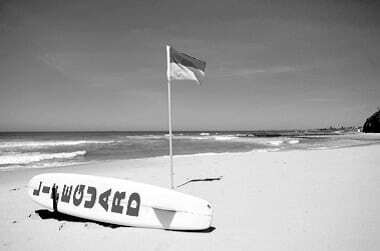 We feel strongly about supporting our local community providing ongoing legal assistance to several volunteer organisations and are proud sponsors of the Copacabana Surf Lifesaving Club and the Terrigal Trojans Rugby Club. Principal Solicitor Kevin Vierboom has made himself available through the SLSC and sporting clubs to work with the rookies and development squads discussing the many issues and challenges that face young adults growing up in our community on the Central Coast. Fourtree Lawyers will in no way be liable to you or anyone else, for any loss or damage, however caused (including through negligence) which may be directly or indirectly suffered in connection with use of this Website. The information contained in this Website is provided by Fourtree Lawyers in good faith and does not create a Solicitor Client relationship or any other relationship. The information on the website is believed to be accurate and current at the date the information was placed on this Website. Fourtree Lawyers makes no representation or warranty as to the reliability, accuracy or completeness of the information contained on this Website or that the Website will be uninterrupted or error free. Fourtree Lawyers informs you that you should not act on the basis of anything contained on this Website and that you should obtain specific professional legal advice relevant to your circumstances. All legal content on this Website relates only to the laws of Australia, unless specifically stated otherwise. The laws of Australia may be different from the laws which may govern your circumstances. Fourtree Lawyers are not liable for damage to your computer systems occurs in connection with use of this Website. Fourtree Lawyers informs you must take your own precautions to ensure that whatever you select for your use from this Website is free of viruses or anything else (such as bugs worms or other things) that may interfere with or damage the operations of your computer systems. Fourtree Lawyers informs you that from time to time, changes or additional material may be added to this Website without notice. Fourtree Lawyers informs you that no undertaking is made now or at any time in the future that the material on this website is up to date or error free. To the extent permitted by the laws of Australia or any other applicable law, all representations, warranties and other terms are excluded. Fourtree Lawyers informs you that you must ensure that your access to this Website is not illegal or prohibited by laws which apply to you or in your location.